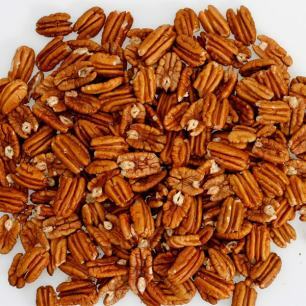 Jr. Mammoth Pecan Decorating Halves - 2 lbs. Attractively Packaged, Attractively Priced – Our Jr. Mammoth (Elliotts) Pecans Roof Top Gift Box Set. These attractively packaged roof top boxes make the perfect gifts to pass out individually to business associates, friends, and relatives! Roof Top Gift Boxes Options: Natural "Raw" Jr. Mammoth (Elliotts) or our freshly Roasted & Salted Jr. Mammoth (Elliotts). 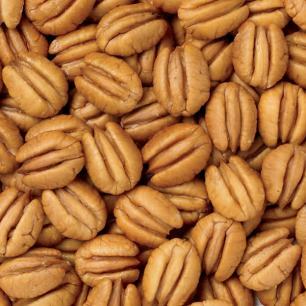 Pecan items are packaged 6 Roof Top Boxes to the Case. I purchased these as gifts for our office team and they were a big hit! 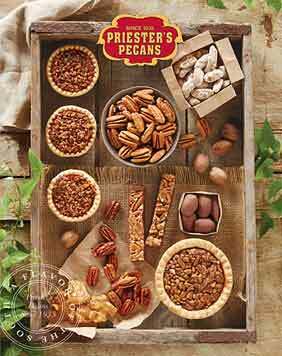 "We've Loved Priester's for Years"
I have gotten Priester's for my sister for years...birthdays and Christmas. This year was exactly the great quality she's come to expect...Im so glad she will be enjoying them again this year. 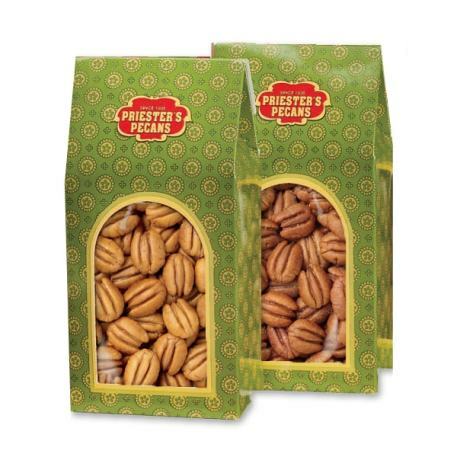 these are the best pecans! I usually buy the large fancy but decided to try these as well. They are fresh and meaty!